We are a family owned and operated business that sells and installs USPS-approved mailboxes to residential and commercial clients. Serving Las Vegas, NV and the surrounding areas since 1995, we have helped customers find the products that are right for them at the competitive price that keep them coming back. We are a distributor of Florence Mailboxes, one of the best names in the industry. From mailboxes to key keeper cabinets and mail accessories, we are your complete postal equipment supply company. 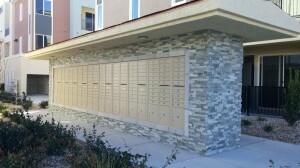 Our licensed, bonded and insured technicians will expertly install your new, high-quality mailbox or postal equipment. For us, service means giving our most utmost to ensure customer satisfaction every step of the way, we encourage you to contact us with any questions you may have. Make sure your mail is secure; purchase a mailbox from B & F!